For daily carry, many refuse to stray from the 1911 pattern of perfection. 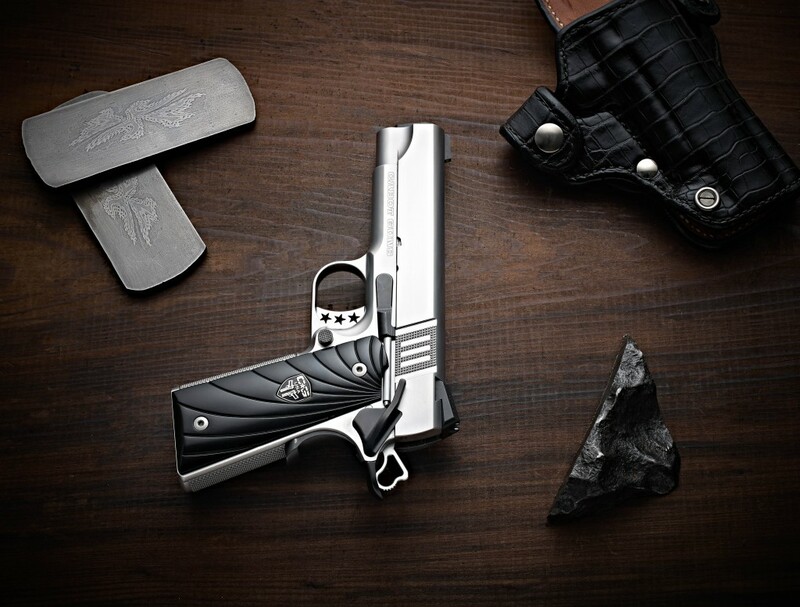 Through years of modification and iteration after iteration of “improvement,” the industry has created variations on the original John Moses Browning design tailored for carry – accomplished in part through modification of the internal design and function of hallowed 1911. At Cabot, this departure from perfection was deemed unsatisfactory. At Cabot, instead we do it right, and we do it better. What separates the Cabot S103 LTD from an industry oversaturated with imitations truly lies beneath. Where other Commander models fundamentally alter the 1911 design by shortening frame rails, adjusting the cycle length to shorten rearward travel, and affecting the timing of recoil and feeding, the Cabot remains true to internal ordnance prints. 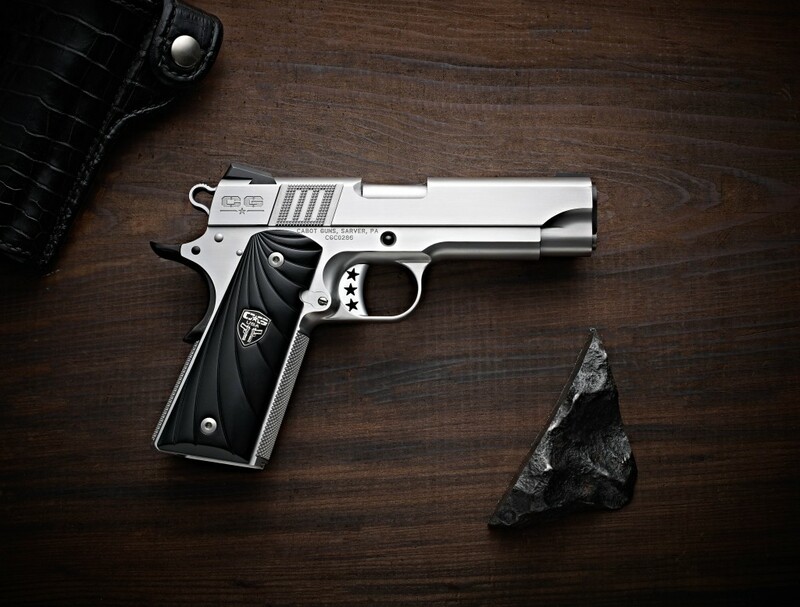 To the eye, the S103 LTD appears a standard commander-length slide and frame, but upon takedown the shooter discovers that the internal dimensions of a full-size 5” barreled 1911 have been preserved. Your Cabot S103 LTD Commander has the same cycle length and internal function as the ever dependable sidearm designed by Browning which has served armed forces worldwide for over a hundred years – “full cycle technology” as our engineers have termed it. The proven pedigree of the 1911 has been re-engineered in carry-size to ensure better feeding, consistent ejection, and above all – reliability. You’ll sacrifice nothing in electing to carry the Cabot S103 LTD at your side. Second only to the importance of reliability in a gun designed for carry is that of grip – one which is easily obtained, effortlessly maintained, and repeatable ad infinitum. To this end, the Cabot S103 LTD has created a functional beauty, all the while sacrificing neither. Cabot’s premier wire-EDM cut Tristar trigger set to 3.5 – 4.0 pounds of pull is housed in a trigger guard contoured and relieved for the shooter’s hand – a high-rise cut underneath provides for a more positive grip on the pistol. With precision machined rhombus checkering along the main spring housing and full face of the front strap, a firm and consistent grip is the hallmark of Cabot’s entry into the 1911 carry game. Further expanding on Cabot’s attention to detail, the S103 LTD comes wrapped in Fibonacci inspired spiral designed grips, featuring the Cabot shield beautifully inlaid. Standard atop this innovatively-classic-carry piece is Cabot’s front Reverse Dovetail Front Sight – fitted from the front of the pistol leaving no unsightly exposed dovetail along the side of the slide, no potential snag points, and eliminating the possibility of sight drift. This feature allows Cabot engineers to run serrations along the entirety of the top of the slide – from the rear sights to the chamber, and on to meld seamlessly with the front sight in an arrow pattern – eliminating the potential for slide glare, and naturally leading the shooter’s eye to target. No detail goes overlooked in Cabot’s S103 LTD Commander. 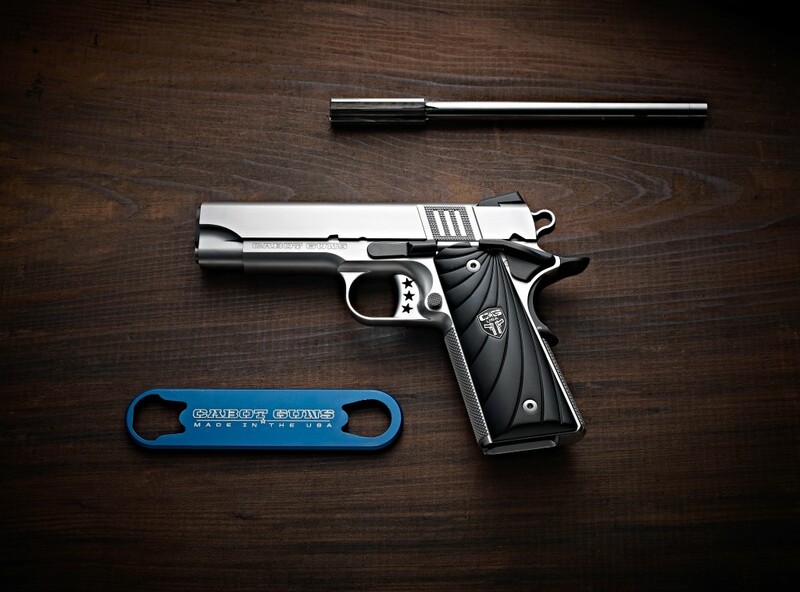 This pistol is hand-fitted frame to slide, adding a touch of personalized craftsmanship to an already perfect design. The barrel is beautifully crowned flush to the bushing, the magwell beveled to enable faster and more consistent magazine swaps, and the full-length guide rod with a hand polished end is a final touch of class to the functionality you’ve come to expect from Cabot Guns.